Directly replace the original bulb on your vehicles stock lamp with thishigh quality LED conversion bulb. LED bulbs throw extremely intense ultra-brightlight while taking very little draw on your vehicles electrical system. Lower power consumption than stock halogen bulb. Important Please Read: Always refer to your vehicles owner manual forthe correct bulb size. Vehicles come in many different models and with varyingoptions, there is no guarantee your model has the same bulb type listed above.For some vehicles, it may be required install a decoder or load resistor toavoid error codes, turn signal hyper flash, or fast blinking. Troubleshooting Tip: If your LED bulb doesnt lightup when you first install it, take it out, flip it 180° and reinstall it.Some LEDs require a specific polarity and you may need to rotate the bulb toget the polarity correct. Be sure that you have the right LED for your application. 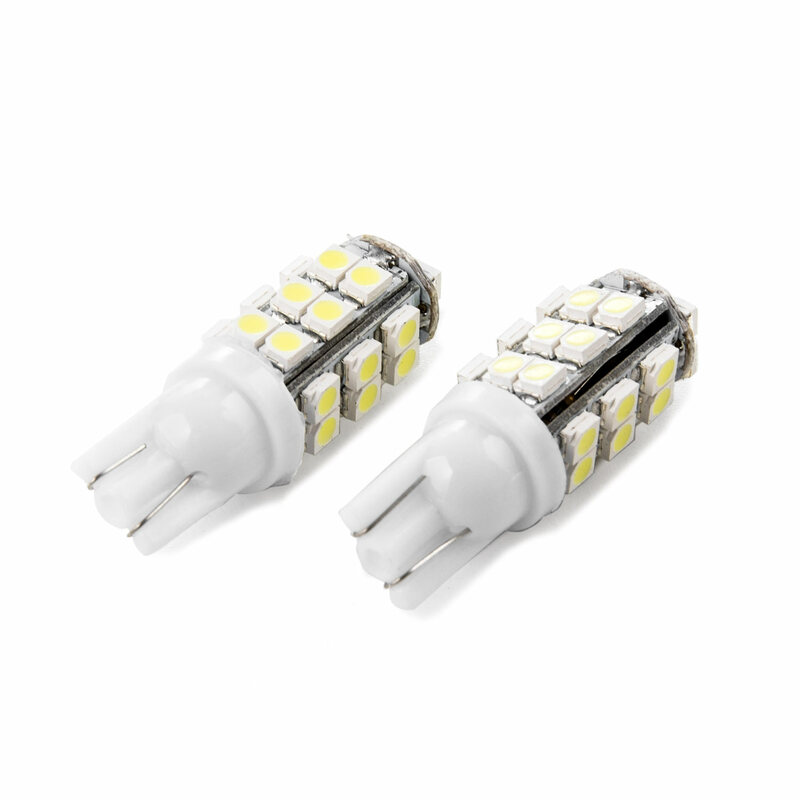 Directly replace the original bulb on your vehicles stock lamp with this high quality LED conversion bulb. LED bulbs throw extremely intense ultra-bright light while taking very little draw on your vehicles electrical system.